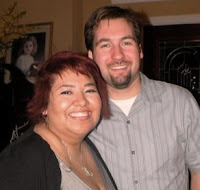 Erik and I wanted to share some exciting news with you about what we are doing in July. To mark this momentous occasion, we felt the Lord leading us to go on our first mission's trip together. The opportunity to go to Berlin, Germany and Budapest, Hungary with our Church from July 23 - August 2 presented itself and we joined the team! Can you think of a better way to celebrate our 10-year anniversary? While I have been on several missions trips, my last trip was in 1997 when I traveled to Honduras with my home church, this will be Erik's first missions trip. 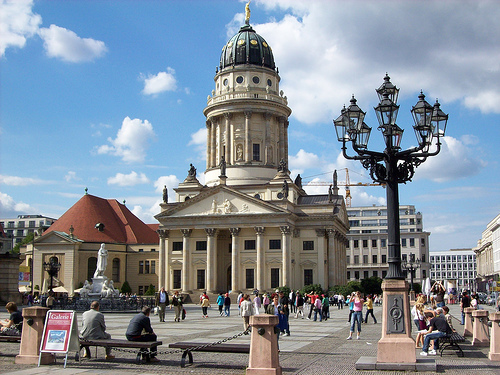 Our church, Shady Grove Church, is sending a team of 31 people to join up with a wonderful mission's organization called European Initiative in Berlin, Germany. They have been based in Berlin for the past 4 years building relationships, engaging the Berlin community. In much contrast to the United States, less than 1% of Germans say they have a relationship with God. Infact, majority claim to be athiest. So as you can see the opportunity to share the Love of Christ is great! While in Europe, we are also going to be taking a short trip to Budapest, Hungary (July 26 - July 29) to assist Ninth Hour with a European Youth Conference where 1200 young people from all over Europe are coming to be trained on how to share and evangelize the gospel in their own communities. Erik and I will be part of the team that assists during the conference and will lead ministry training teams as we do Spirit Led street evangelism. This is a recent development that the Lord presented our team and we are really looking forward to impacting the nations through this conference. When we return to Berlin, Erik and I also, plan on taking a day trip to Klütz, Germany to check out the city named after Erik's family. There are only like 20 Kluetz's in the US, so we hope to connect the dots on where Erik's family might have originated. We are excited to get to go and possibly meet up with some long lost relatives. Suffice to say, this trip will definitely be an adventure of lifetime and know we grow in unimaginable ways. Please pray for me, I am serving as the administrator for the team which is an amazing honor but can be a bit overwhelming at times and is a huge responsibility. Please pray for our finances and favor as we prepare travel. It seems as with most people on our team, whenever you step out in faith and decide to go on a mission's trip vehicles start to breakdown or unexpected expenses come up that make it difficult to save money. Pray for our team, we have 32 people that we will be traveling included in the mix are 6 families and 16 college-aged young adults. Pray for the Ministries we are going to serve European Initiative and Ninth Hour. It takes a great deal of planning and coordinating a team visiting, especially a team of 32 people. 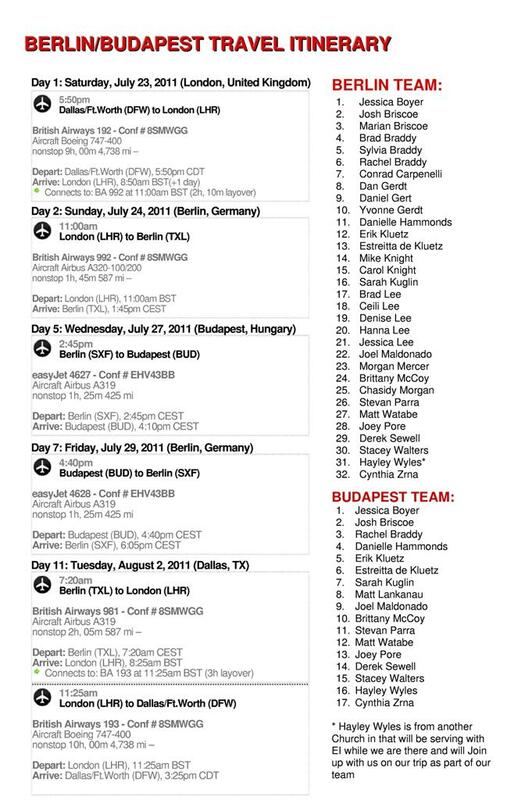 Pray for us while we travel, I have attached the itinerary below with the names of the people on our team. We appreciate your standing with us and supporting us in prayer! May the Lord continue to richly bless you and your family in every aspect of your lives! When we get back we will let you know about everything we experienced while in Europe!